D. Boyer Consulting – Dawn D. Boyer, Ph.D. Dawn D. Boyer, Ph.D. has been an entrepreneur and business owner for 15+ years, with a successful business in Richmond, VA, and currently in her consulting firm, D. Boyer Consulting, as well as a business partner with her husband in Virginia Beach, VA. Her background experience is 24+ years in the Human Resources field, of which 11+ years are within the Federal Government & Defense Contracting industry. Dr. Boyer’s experience in federal (defense) contracting as a Human Resources Director or Senior Manager has provided her insight, experience, practice, and capabilities to perform within this industry and field, as well as instruct others to abilities needed in middle-management or executive human resource roles. She completed her post-grad studies at Old Dominion University in Norfolk, VA for a Doctor of Philosophy in Education (Occupational & Technical Studies, with a concentration in Training & Development in Human Resources). Her dissertation is entitled, ‘Competencies of Human Resources Practitioners within the Government Contracting Industry,’ which identifies unique KSAs for Human Resources Managers working for federal level government contracting companies. This groundbreaking research is the impetus upon her training curriculum, textbook, and certification program for Human Resources Professionals in Government Contracting. She is currently creating a textbook for government contracting industry HR professionals. Dr. Boyer works with job seekers to write Search Engine Optimized resumes for increased visibility to recruiters – getting the candidates past the recruiting ‘firewall’ and interviewed for faster hires and job placement. Her tech-based knowledge of how the Automated Tracking Systems (ATS) software for resume databases work to help job seekers in structuring a resume for recruiters’ Boolean search queries. Her SEO coding within resume is so unique, no other resume writers offer this service. She assists business owners working on developing their brand and marketing plans within social media marketing, planning, and management. Dr. Boyer joined SCORE in 2013 to providing mentoring advice and consulting to mentees weekly and via training classes sponsored by the non-profit organization. 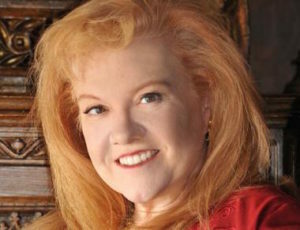 She is the author of 130+ books on the topics of genealogy, family lineage, women and gender studies, business and career search practice, quotes for self-improvement and motivation (2,000+ /3,000+ series), and her ‘Interview with an Artist’ series, as well as over 40 Big Kid Coloring Books. One hundred and ten of her books can be found on Amazon under Dawn D. Boyer, Ph.D.
Dr. Boyer has been a member of LinkedIn since 2004 (a few months after beta version released) and has developed a rich profile for consistent and constant communications to ~11,500+ connections. Her direct earnings from LinkedIn exceed six figures in the last six years from her consulting and business activities. Her clients call her ‘The Queen of LinkedIn’ and she offers LinkedIn reviews and constructive advice on how to empower rich LinkedIn profiles. Dr. Boyer has 24+ years of senior management experience in human resources, of which 12 years is in government contracting. as well as Fiction (101 of which are available via Create Space, Amazon.com, in paperback and Kindle), and Big Kids Coloring Books (40+). She was recognized as an award-winning female entrepreneur by Inside Business (2013). She may be reached via her business website: http://DBoyerConsulting.com or email: Dawn.Boyer@DBoyerConsulting.com. Connect & join her 11,250+ connections!